Similar to Red Cedar, Yellow Cedar is commonly used to build decks for its many advantages over other materials. Known for its naturally occurring oils which resist decay, Yellow Cedar is an ideal choice for outdoor applications. It is dimensionally stable, resisting warping and shrinking even when exposed to the elements. It also does not get unpleasantly hot in the sun, unlike some composite decking materials. Composite materials can also fade over time, while cedar decks can be periodically stained or painted to refresh its look. Even in its natural state, Yellow Cedar is aesthetically pleasing with its light colour. Our decking is available in "Select Appearance Grade." 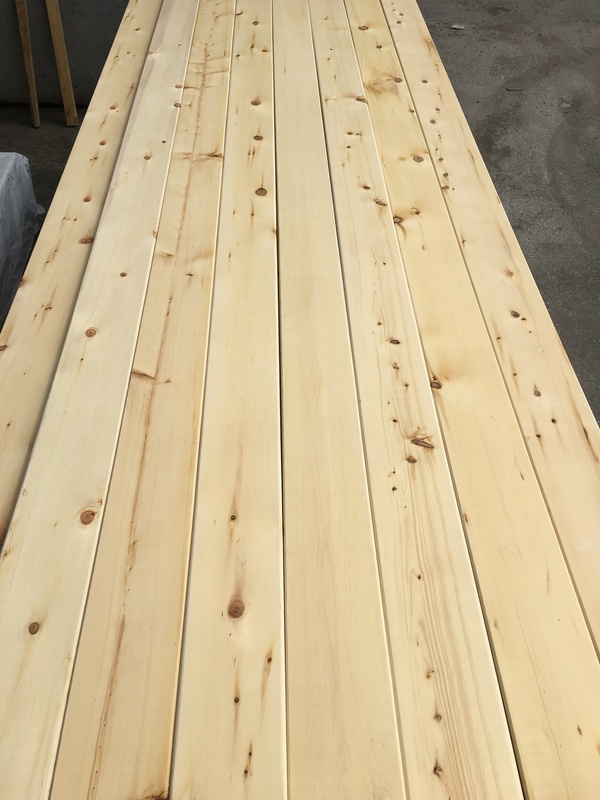 It is a knotty grade produced with decking applications in mind. The dimensions are the commonly used 5/4x6" profile. The surfaces are planed, and have rounded edges to further enhance its smooth appearance. Yellow Cedar Decking is a less expensive alternative to WRC.